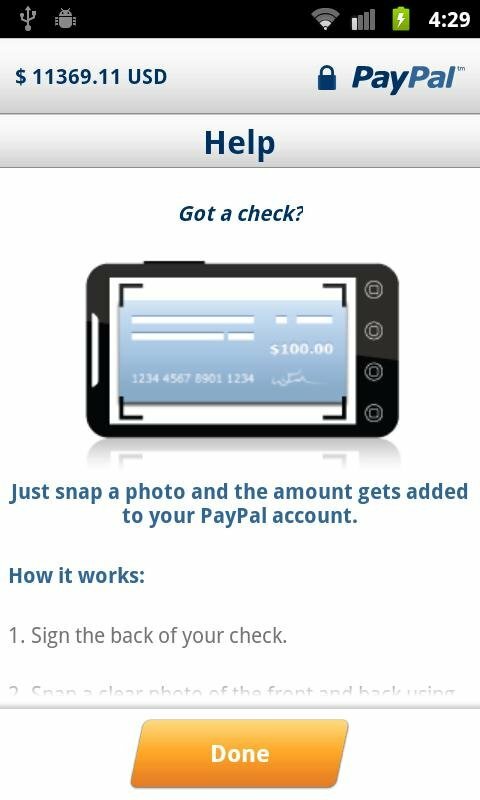 Back in October of last year, Paypal introduced the first mobile app that allowed users to scan and deposit checks using their phone's camera. You know the drill: snap pictures of your check's front and rear end and the money automatically shows up in your account -- within around six days. 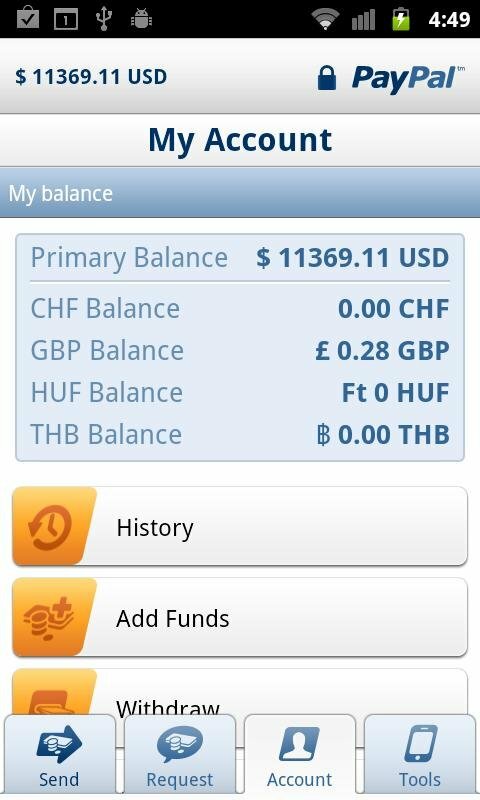 Well, now the snappy new check-scanning feature is available for Android users as well. Paypal has also updated their app to allow users to move the software to your SD card; helpful if you've been getting the death stare from the "low phone memory" icon at the top of your screen. The Paypal app also has a bunch of other features, including a split bill calculator and a list of local Paypal-accepting companies. We recommend! Looks like USAA was the first to introduce check scanning, and I think the long wait time is to ensure a thorough verification process. I couldn't find any information on the OCR. :( Anyone else? I'm going to look it up. Meanwhile, why do Americans still use checks? That's my question! I would like to know how this system works... Any information on that?